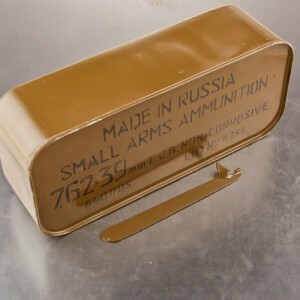 7.62x39 ammo is most commonly used in AK-47 rifles as the former Soviet standard and one of the most popular intermediate rifle cartridges in the world. 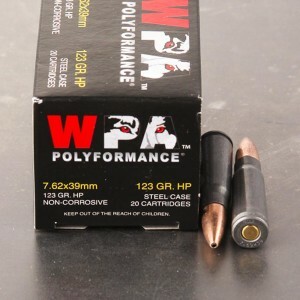 With a history that dates back to the 1940's, you'll find 7.62x39 for sale most commonly used by American civilian shooters as a survival rifle or hunting rifle. 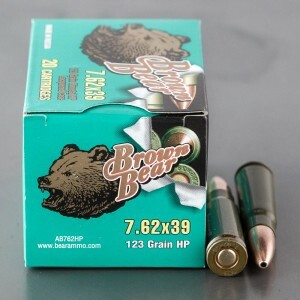 In terms of ballistics, the Soviet cartridge offers about the same amount of power as a 30-30 round. 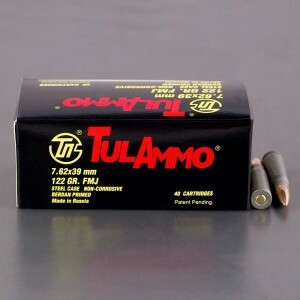 The AK-47 ammo generally offers a muzzle velocity between 2,100 feet per second and 2,400 feet per second. 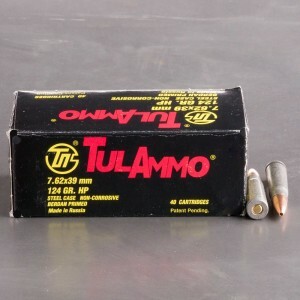 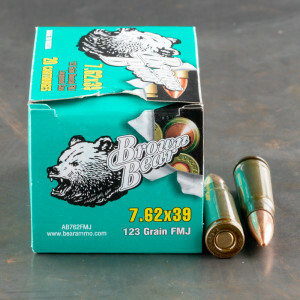 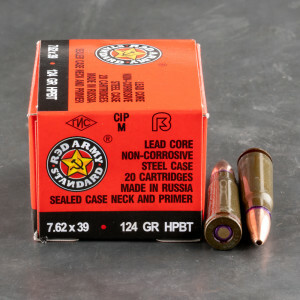 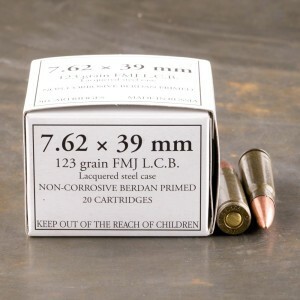 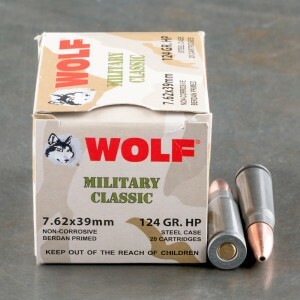 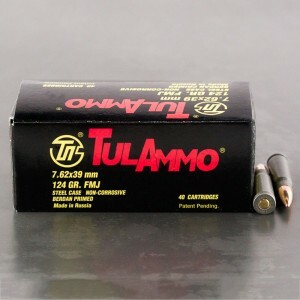 Look for in-stock 7.62x39 ammunition with bullet weights generally in the 122-grain to 124-grain range. 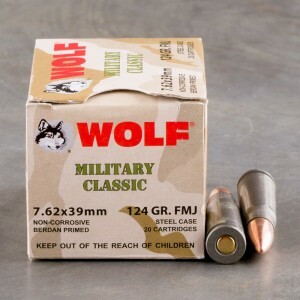 Full metal jacket rounds are available for plinking but many shooters will also use hollow point rounds for their range time as well. 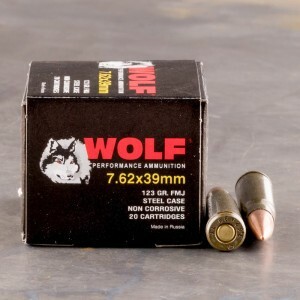 At the links below, look for quality 7.62x39 ammo from popular Russian and domestic manufacturers like Wolf, Tula, and Federal. 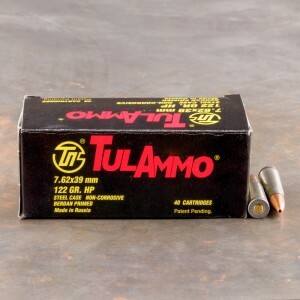 Have not shot yet,looking forward to. 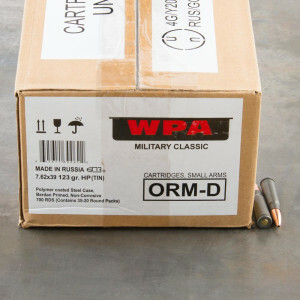 Fast shipping and so far so good at the range. 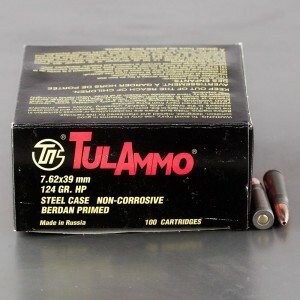 No malfunctions after firing about 400 rounds. 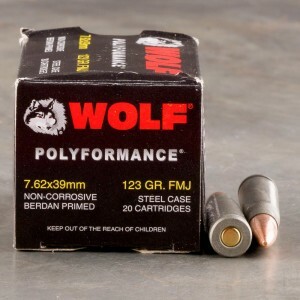 I bought some Wolfe ammo a few years ago for my Remington 30-06. 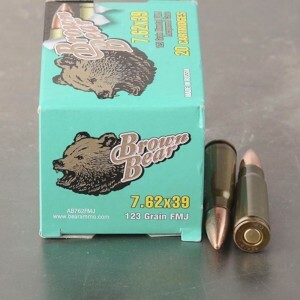 Shot just as good as my more exspensive Remington brand.